Portal cranes move on the rail, which is at the ground level. It can be designed for indoor or outdoor use. 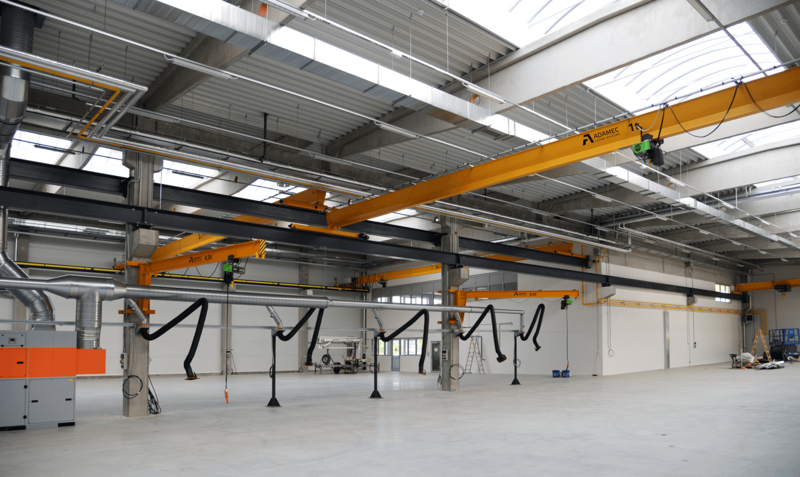 It is used in cases where overhead cranes cannot be used for various reasons. They consist of one or two bridges, gantry legs and end carriages with wheels and the crane drives. The limitation is in the need to secure the zero level area of the crane and end carriages in accordance with valid standards in terms of personal safety. Crane drives are standardly controlled by a frequency inverter with adjustable start and braking modes. This significantly reduces the swing of the load and contributes to the fluidity and security of handling. The method of control is the same as overhead travelling cranes.